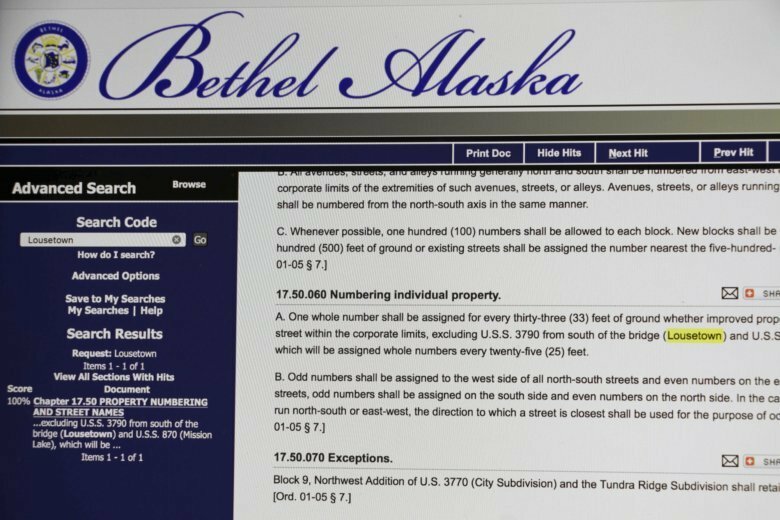 ANCHORAGE, Alaska (AP) — A place name deemed offensive to Alaska Natives who live there is being stricken from the municipal code of a small town in western Alaska after local officials took official action. The ordinance, including the call to rename Lousetown, was approved by a 6-0 vote at Tuesday’s City Council meeting. The word louse means an unpleasant or contemptible person, it’s also the singular term for lice — the parasitic insect known for infesting human hair. Williams doesn’t know why or when the area got the name as a common reference to that part of town, even though there are no signs there with the name Lousetown. No one else seems to know the origin of the nickname, although historian Jo Antonson said lice infestations were a perennial problem in western Alaska in the past. East Avenue is better than Lousetown, said 79-year-old Bea Kristovich, who lived there in her youth. But she was among locals who thought the area should be called one of various Yup’ik Eskimo names, so she’s not a fan of the new name. It’s a change traditional chief Louie Andrew, who lives in that section, can live with. “It doesn’t matter as long as it gets that Lousetown out of there,” he said.